Four projects seeking funding have been presented at the Venture Round of the Innovation and Development Foundation ( FIDBAN ), which took place on the campus of the European University of the Atlantic. 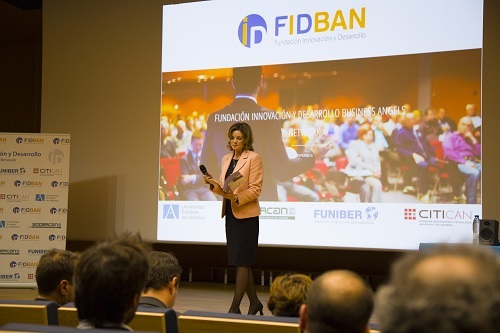 The event coincided with the first anniversary of the establishment of FIDBAN and yesterday was the fourth round of projects that took place in Cantabria. The four projects that the FIDBAN Technical Committee had selected for the last Venture Round of the year consisted of a filter for large, fresh and salt water flows and environmentally sustainable; the manufacture of innovative consumables for 3D printers; a development to support the activity of educational centers and a web platform for content auctions in digital media. Representatives of these four initiatives explained their particularities to the FIDBAN committee and the attending public, submitting at the end to their questions and suggestions. It should be noted that, throughout 2018, the first meeting between entrepreneurs and investors promoted by FIDBAN was held outside of Cantabria; it specifically took place in El Salvador at the end of last November with four presented projects by Salvadoran entrepreneurs. FIDBAN is a non-profit business angel whose board of trustees is made up of educational institutions such as UNEATLÁNTICO and the Ibero-American University Foundation ( FUNIBER ), the Investigation and Technology Centre ( CITICAN ) and the Government of Cantabria through Sodercan. 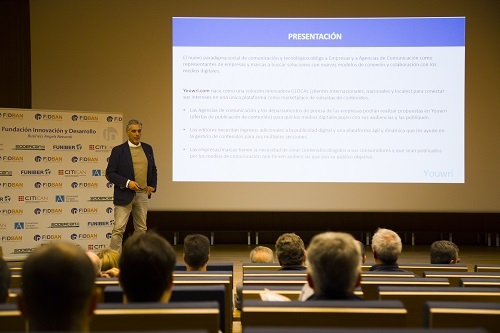 A total of sixteen projects have passed for the four venture rounds held in Cantabria, fourteen signed by Cantabrian entrepreneurs and two from Latin America: Bolivia and El Salvador. Yesterday, on the occasion of the celebration of the Venture Round, FIDBAN presented the first issue of its magazine, which includes extensive information on the activities developed by the organization in the last twelve months.